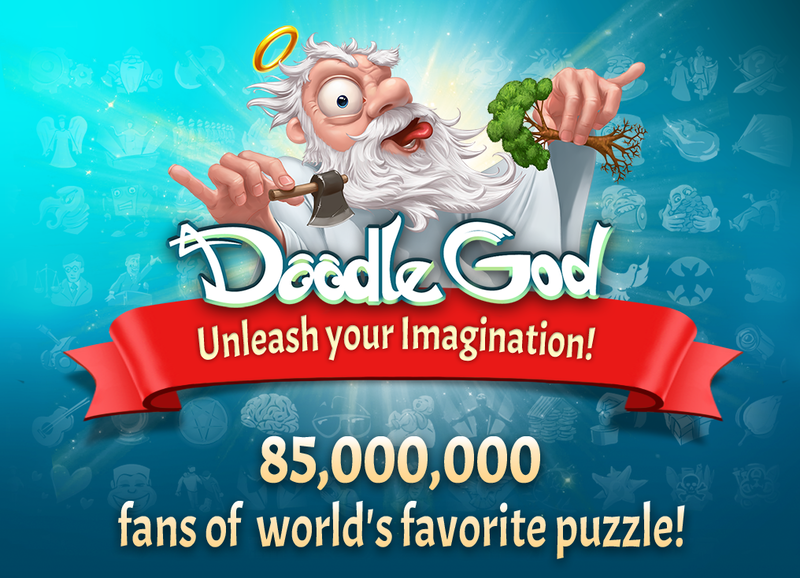 Doodle God puts the power of creation in your hands! Over 85,000,000 players tried to create their own world in the last few months! Now available in 13 languages: English, Dutch, French, Spain, Italian, Russian, Japanese, Chinese, Korean, Portuguese, Swedish, Polish & German. NEW HD retina display graphics. New UI and in-game graphics. New “Quests” mode. 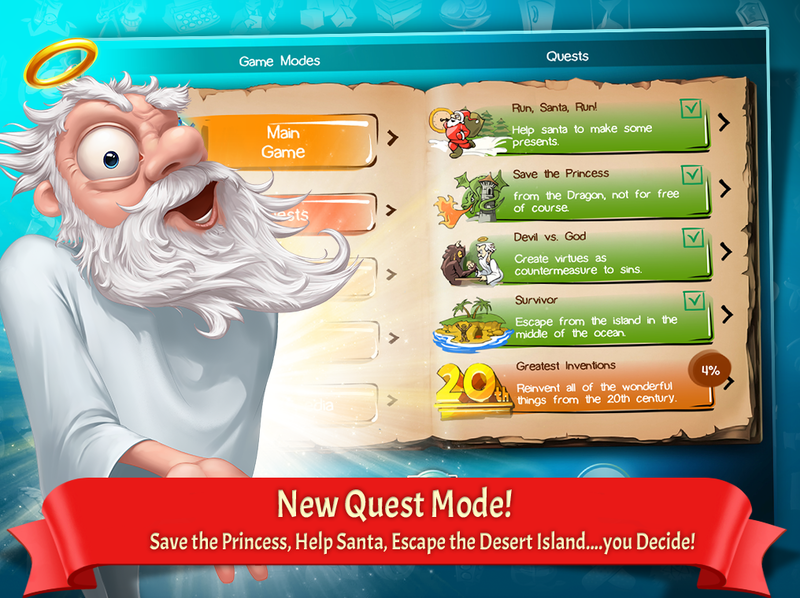 Can you save the Princess or escape a Desert Island? New 20th Century Greatest Inventions. Inventions for every decade of 20th century. New artifacts. 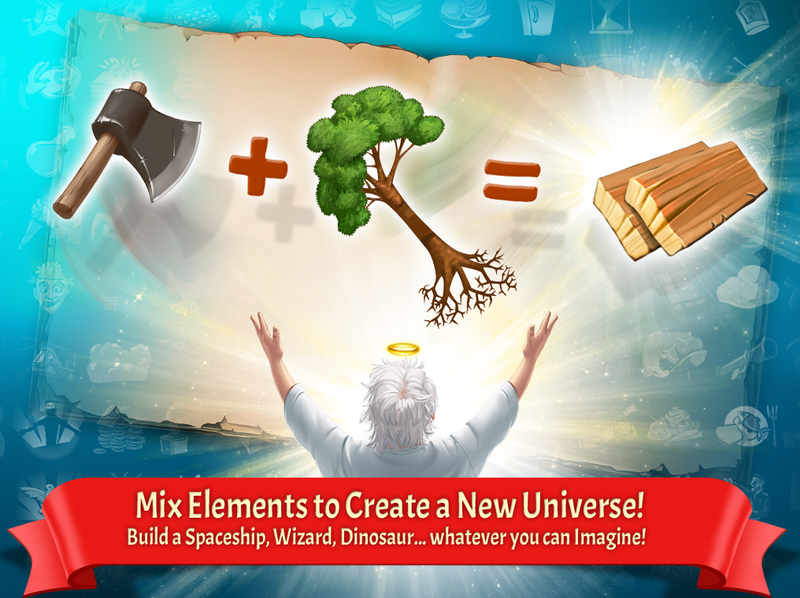 Collect special collectible artifacts created by amazing triple reactions. New reactions with existing elements and episodes. New Elements encyclopedia with wikipedia links. Improved mini-games for arcade fans. 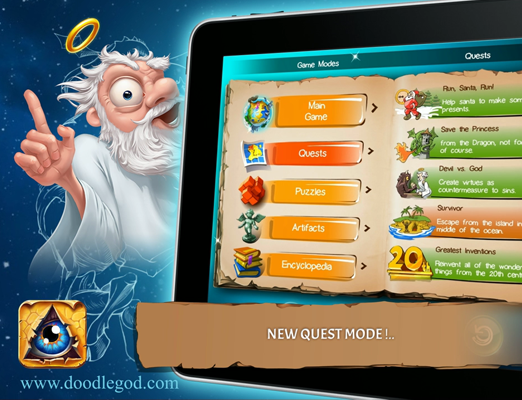 "Doodle God is simple, accessible, and fun. If you’re looking for a unique iPhone title with a surprising amount of charm and polish, you’re going to have a great time here. Wonderfully unique concept. Deeply satisfying!" 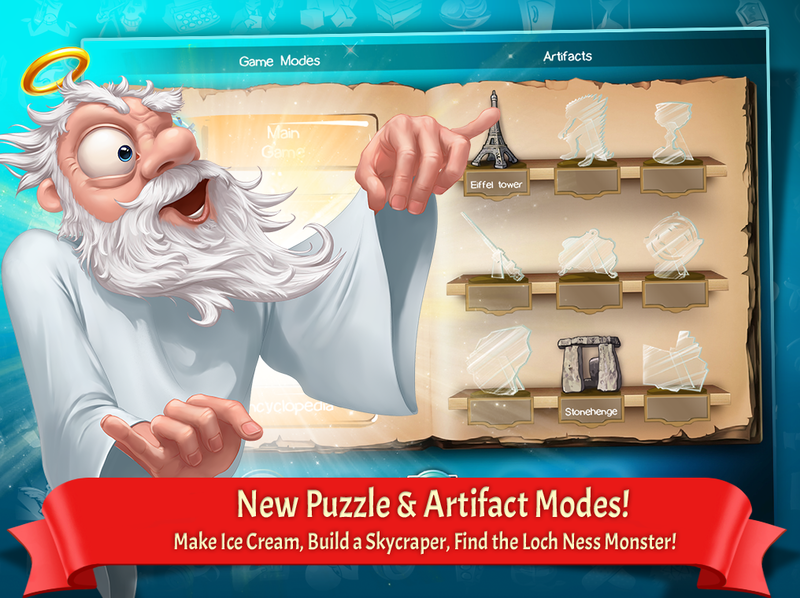 "Doodle God is a unique, bizarrely addictive game in which you combine different stuff to make more stuff: water and air into steam, or humans and blood into vampires. It's weird, funny, and, in short, awesome. It’s addictive. Insanely so! Lots of fun." 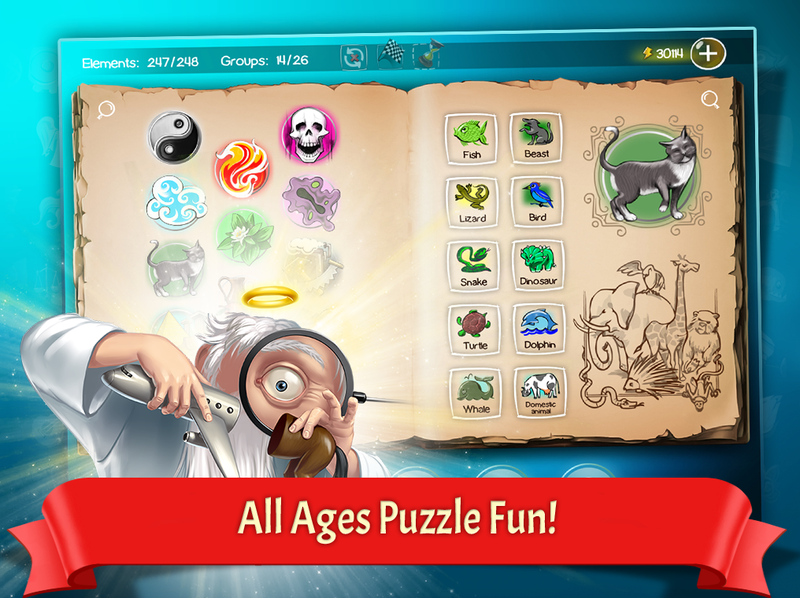 "Discovering each new element was an utter delight... With Doodle God, not only did I completely finish the game, I couldn’t put it down. Admittedly, it’s not a very long game, but for several hours, it had my total and undivided attention. And, this is the important part, I absolutely LOVED every second of it." "I would recommend buying it, definitely worth it!"